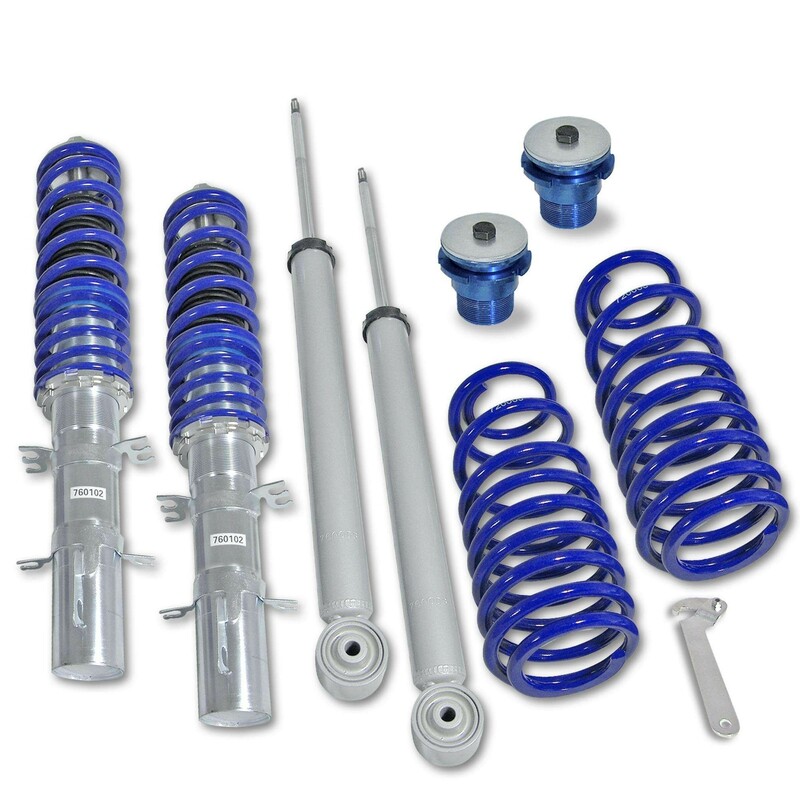 The BlueLine coilover suspension kits are highgrade car-specific suspension components. The range of adjustment gives an individual body lowering. The kits have a huge transverse force absorption. The initial spring tension survives in complete range of adjustment. Adjustment after installation. 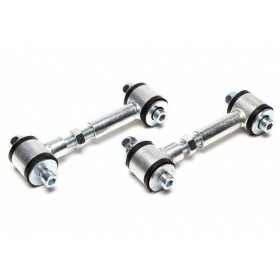 We can now offer these superb JOM Tuning coilover systems which we import direct from JOM in Germany. If you want a good quality, height adjustable budget coilover then this is the one to buy! Superb build quality and massive height adjustment combined with our special discounted price makes this one of the cheapest coilover kits available. The kits are made exclusively for JOM Tuning and are TUV Quality approved. All kits are supplied built up in the box so all you have to do is fit the top mounts and they are ready to go on your car! The ride quality is firm but forgiving and ideal for fast road use.